Our Story begins in New Orleans, where Veda Ambeau, owner and proprietor of Shirley’s Designs & Alterations, learned to sew at the age of six alongside her grandmother, a master tailor, and her mother, a sewing teacher. Fast forward to Berkeley High School where Veda completed her Advanced Tailoring coursework by 11th grade and sets off to the San Francisco School of Fashion Design to get her degree. Veda went on to UC Berkeley to study Mechanical Engineering and entered into corporate America before a life changing event brought her to Shirley Taugert – ‘the’ Shirley of Shirley’s Designs & Alterations in Piedmont. In 1982 Veda had an opportunity to follow her passion and purchased Shirley’s Designs & Alterations. There, she worked side by side with her mother Mildred and Shirley to hone her craft and build her business. Shirley retired a year later. Veda added her name to Shirley’s in 1999 and moved the store to Lakeshore Avenue where dozens of Shirley’s original clients still come to have their treasured fashion pieces tailored. 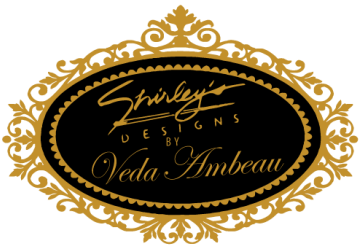 Today, Shirley’s Designs & Alterations by Veda Ambeau provides more than 4,500 clients in Oakland and Piedmont with best in class customer service for the perfect fit. So, whether its tapering the legs of your favorite slacks for a more contemporary look, making that dress from 1950 look like you just purchased it, taking in the lapels on that beloved suit, or adding 6 inches to the hemline of the wedding gown that you bought online at a price too good to pass up, Veda and her team will bring out the best in your clothing so it will bring out the best in you.